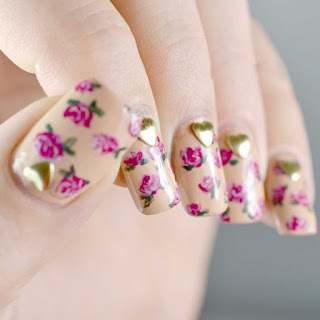 Day 13 really means my holiday is over and it's time to think about university again. 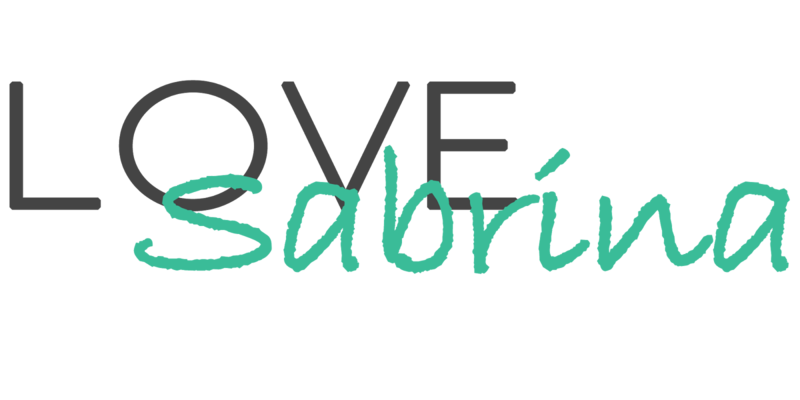 I still have three exams until my semester starts again which is on the 1st of October. 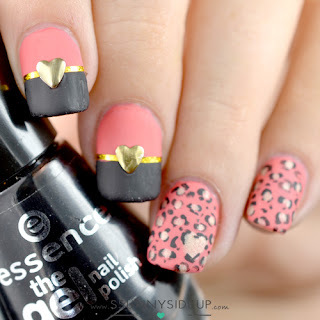 catrice "20 Meet Me At Coral Island"
essence the gel nail polish "44 black is back"
For this design I was inspired by @allnailseverything. 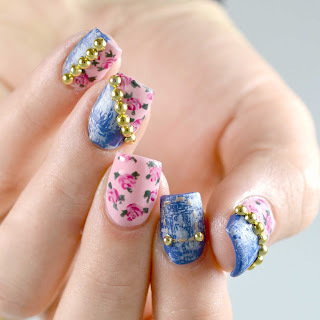 She's such an amazing artist and all her designs are flawless. 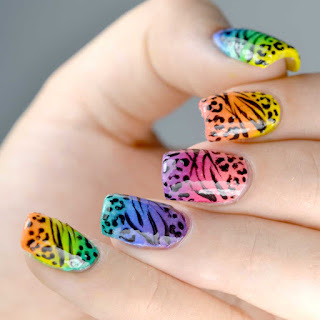 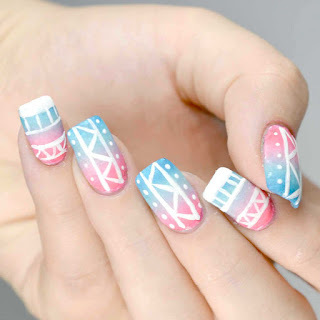 What do you think about animal print nails? 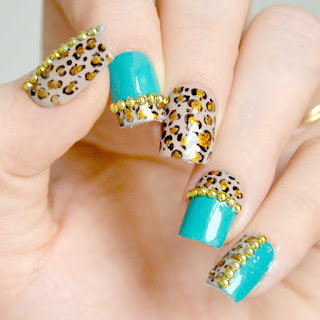 Although I hate animal print everywhere else I totally love them on nails. 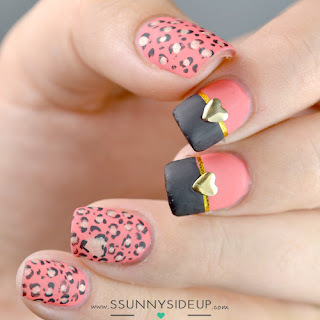 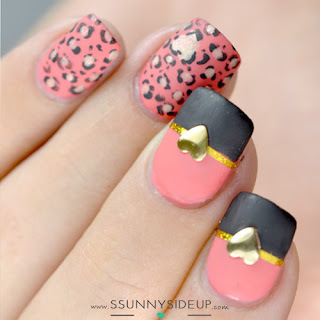 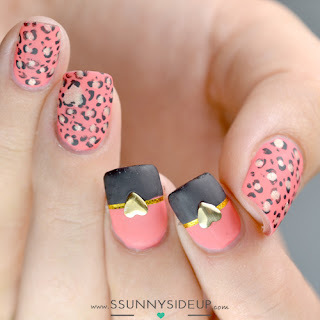 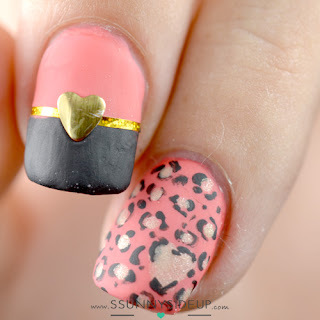 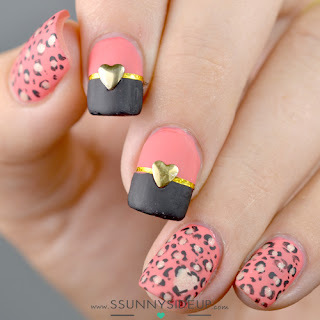 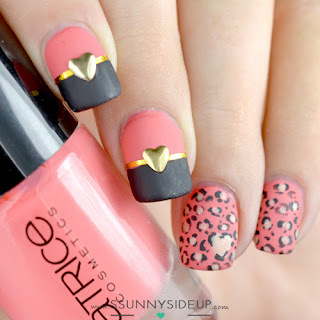 The animal print looks cute together with the heart studs and I really like that you mattefied this one!